Glen Customer Care Support and Service India assists the users with the information which is helpful in clearing the doubts and guiding them to solve the issues related to the sales and services of Glen products in India. Glen provides warranty services to the products purchased from Glen. The warranty details of Glen products are listed below. For other warranty details of glen products please contact customer support number provided above and avail the services. I-34, Dlf Industrial Area, Phase-1, Faridabad. 7th Phase, Near Maruthi School. If the customer is not satisfied with the services provided by the dealers/ service centers authorized by Glen, they can escalate their issues by submitting the complaint with all the available details of the product and previous complaint through the link provided below. The major Products of Glen includes Island Chimneys, Split Chimneys, Designer Chimneys, Straight Line Chimneys, Built-In Microwaves, Ovens, Hobs (Induction) and Hobs (Gas), Stainless Steel Hob, Cooking Appliances, Glass & Induction Cook tops, Platinum Cook tops, Stainless Steel Cook tops, Food Processors, Juicer Mixer Grinders, Mixer Grinders, Choppers, Slow Juicers, Blender & Grinders, Hand Mixers, Egg Masters, Coffee Makers, Kettles & Tea Makers, Toasters, Sandwich Makers, Bread Makers, Air fryers, Steam Cookers, Rice Cooker, Glass Grills, Oven Toaster Griller, Tan doors, Induction Cookers, OFR Heaters, PTC Heaters, Irons. The company provides the facility to download the user guide manuals and watch tutorial videos of Glen products available in its official website. Glen Appliances Pvt. Ltd is a consumer appliances manufacturing company founded in 1999 with headquarters located in Faridabad, Haryana. Glen has been an inspiration from the needs of the discerning buyers of modern home appliances with products having ideal combination of aesthetics, performance and guaranteed for long and trouble-free usage. At Glen the design and development of products is primarily based on the consumer requirements and is backed by the persistent support of continuous Research and development. For more information on Glen and its product range, please visit the official website of the company or else you can also like the company Facebook fan page. 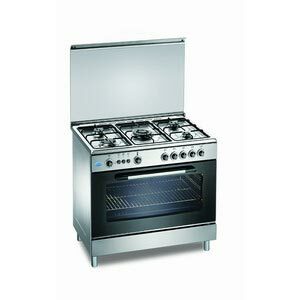 We have bought 3 burner glass top Gas stove made by Glen in past 4 month from KANGRA (H.P.). On 24 FEB 2012 while we were doing normal cooking all of a sudden the glass top get cracked with a sound. Please arrange to replace the glass top of gas stove as it comes under the warranty period. We have brought 3 burner glass top Gas stove GL 1033 GT on 24 th Oct 11 vide invoice No 3095, one burner of stove is not working properly and gives some time flame under the burner, we booked the complaint to the dealer on 2nd Nov M/s Bhart Enterprises Bathinda, but the attitude of thire to attend the complaint was not positive. The service Representative did nothing and only checked the leakage of gas. We are unable to understand what is the meaning of complaint is on your company profile. Now you are requested to look in to the matter so we can feel that we have purchased the right thing from the right company. We have bought 3 burner glass top Gas stove made by Glen in 25 Jan 2010 from Gwalior Fair (M.P.). On 25th June while we were doing normal cooking all of a sudden the glass top get cracked with a sound. Please arrange to replace the glass top of gas stove as it comes under the warranty period.